There have been many efforts to increase the number of women surgeons. We provide an update of women surgeon representation along the pathway to surgical academia. Data was extracted from Association of American Medical Colleges FACTS and Faculty Administrative Management Online User System as well as GME annual reports starting in 1994 until the last year available for each. The proportion of graduating women medical students has increased on average .5% per year from 1994 to 2014. Women general surgery trainees have more than doubled in number over the same period but represented 38.3% of all general surgery trainees in 2014. Women Full Professors increased on average .3% from 1994 to 2015 but still make up less than 10% of all Full Professors. 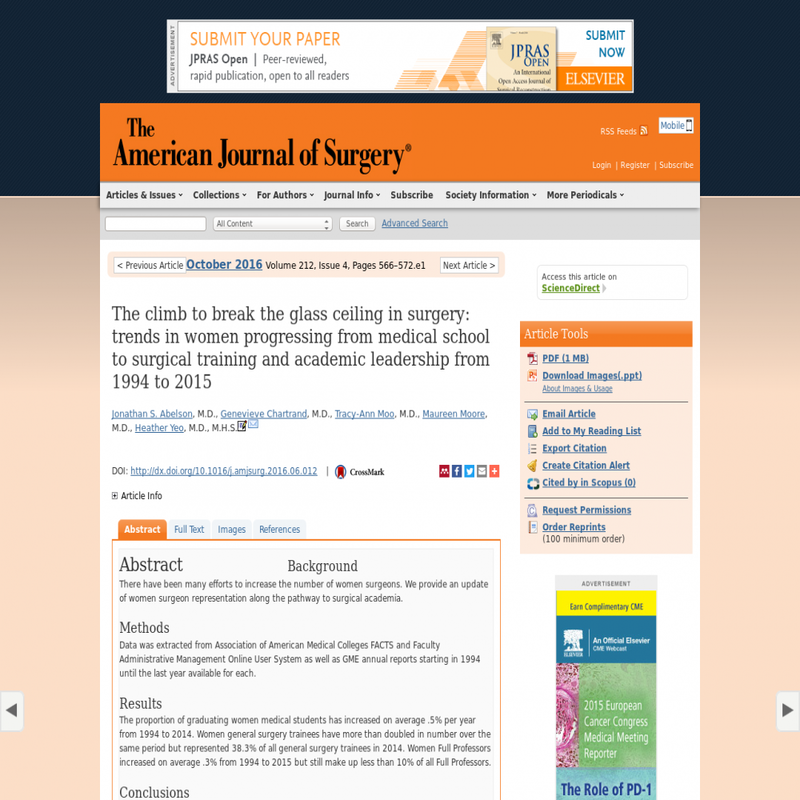 Despite improvements over the past 20 years, there are still large gender gaps in surgery for trainees and academic leadership. At the current rate of increase, women Full Professors will not achieve gender parity until in 2136.